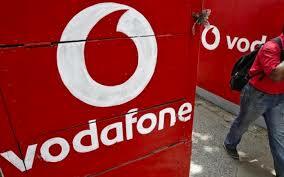 Vodafone has officially announced Rs. 9 pack for its prepaid subscribers which gives unlimited voice calls, SMS messages, and 100MB of data for one day. in UP East can avail unlimited local and STD voice calls as well as 100 SMS messages and 100MB of mobile data. The pack offers the bundled benefits until midnight of the day subscribers recharge their accounts. Subscribers in the eligible circle can recharge conveniently using the My Vodafone app or by visiting a nearby recharge store. Nipun Sharma, Business Head - UP East, Vodafone India has said " As the network of choice, we want our customers to get the value for money at a price point that fits their budget. Hence, Vodafone Rs 9 pack allows our customers to make unlimited calls, send 100 SMS, and enjoy 100 MB of mobile internet surfing, for one day"